This kid is not into childish stuff. 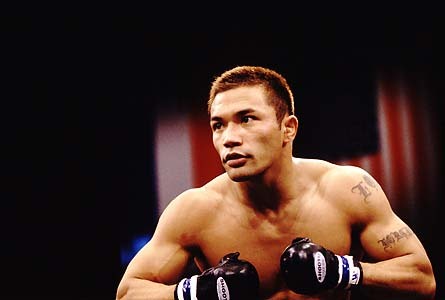 Norifumi “KID” Yamamoto is all set to take down his opponent at UFC 126. At age 34, Norifumi “KID” Yamamoto is already decided that he’ll fight for 2-3 years more. He said in an interview with Daily Sports Online that he does not want to stay unitl the old age inside the octagon. Also, he added that he hopes that he’s last fight will take place in Japan. Receiving the opportunity on fight in the UFC and making a debut at UFC 126 brought him renewed fighting spirit. He considers this as the highest peak of Kakutogi (combat sports). Even before, Yamamoto is eager to give UFC a try but failed since there was no Bantamweight division. The merge between WEC and UFC made this dream possible.